Brown, Joseph Epes. Animals of the Soul. Rockport, MA: Element Books, 1992. Cutright, Paul Russell. Lewis and Clark, Pioneering Naturalists. Urbana: University of Illinois Press, 1969. DeVoto, Bernard, ed. The Journals of Lewis & Clark. New York: Houghton Mifflin Company, 1953. Gilman, Carolyn. Lewis and Clark: Across the Divide. Washington, D.C.: Smithsonian Books and Missouri Historical Society Press, 2003. Herbert, Janis. Lewis and Clark for Kids. Chicago: Chicago Review Press, 2000. Jackson, Donald. 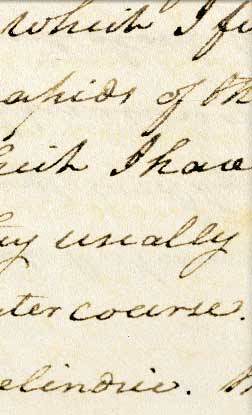 Letters of the Lewis and Clark Expedition with Related Documents 1783-1854. Urbana: University of Illinois Press, 1978. Patent, Dorothy Hinshaw. Animals on the Trail with Lewis and Clark. New York: Clarion Books, 2002. Rolston, III, Holmes. Environmental Ethics. Philadelphia: Temple University Press, 1988. Ronda, James P. Finding the West: Explorations with Lewis and Clark. Albuquerque: University of New Mexico Press, 2001. Standing Bear, Luther. My Indian Boyhood. Lincoln: University of Nebraska Press, 1998. Primm, James Neal. Lion of the Valley: St. Louis, Missouri, 1764-1980. 3d ed. St. Louis: Missouri Historical Society Press, 1998. Ronda, James P. Lewis and Clark among the Indians. Lincoln: University of Nebraska Press, 1984. Reprint. Lincoln: University of Nebraska Press, 2002. Caduto, Michael J., and Bruchac, Joseph. Keepers of Life: Discovering Plants Through Native American Stories and Earth Activities for Children. Golden, Colorado: Fulcrum Publishing, 1994. DeVoto, Bernard, ed. The Journals of Lewis and Clark. Boston: Houghton Mifflin Co., 1953. Hobbs, Christopher. Handmade Medicines: Simple Recipes for Herbal Health. Loveland, Colorado: Interweave Press, Inc., 1998. James, Caroline. Nez Perce Women in Transition, 1877-1990. Moscow, Idaho: University of Idaho Press, 1996. Medicine Crow, Joseph. From the Heart of the Crow Country. New York: Orion Books, 1992. Moulton, Gary E., ed. The Journals of the Lewis and Clark Expedition. 10 vols. Lincoln: University of Nebraska Press, 1999. Patent, Dorothy Hinshaw. Plants on the Trail with Lewis and Clark. New York: Houghton Mifflin Co., 2003. Spamer, Earle E., and Richard M. McCourt. The Lewis and Clark Herbarium. Academy of Natural Sciences of Philadelphia (PH-LC): Digital imagery study set. Academy of Natural Sciences of Philadelphia, Special Publication 19. 2002. Ambrose, Stephen E. Undaunted Courage: Meriwether Lewis, Thomas Jefferson, and the Opening of the American West. New York: Simon & Schuster, 1997. Adler, David A. A Picture Book of Lewis and Clark. New York: David A. Adler, Holiday House, 2003. Blumberg, Rhoda. The Incredible Journal of Lewis and Clark. New York: Rhoda Blumberg, Lothrop, Lee and Shepard, 1987. Cotter, John L., Michael Parrington, and Daniel G. Roberts. The Buried Past: An Archaeological History of Philadelphia. Philadelphia: University of Pennsylvania Press, 1992. Cutright, Paul R. Contributions of Philadelphia to Lewis and Clark History. Philadelphia Chapter Lewis and Clark Trail Heritage Foundation, Inc, 2001. DeVoto, Bernard, ed. The Journals of Lewis and Clark. New York: Houghton Mifflin Company, 1953. Kroll, Steven. Explorers of the American West. New York: Steven Kroll, Holiday House,1994. Weiley, Russell F., ed. Philadelphia: A 300 Year History. New York: W.W. Norton & Company, 1982. Gilman, Carolyn. Lewis and Clark: Across the Divide. Washington, D.C.: Smithsonian Books and Historical Society Press, 2003. Corbett, Katharine T. In Her Place: A Guide to St. Louis Women's History. St. Louis: Missouri Historical Society Press, 1999. Foley, William E., and C. David Rice. The First Chouteaus: River Barons of Early St. Louis. Chicago: University of Illinois Press, 1983. Lucey, Donna M. I Dwell in Possibility-Women Build a Nation, 1600-1920. Washington, D.C.: National Geographic Society, 2001. Slaughter, Thomas P. Exploring Lewis and Clark: Reflections On Men and Wilderness. New York: Alfred A. Knopf, 2003.